I am humbled and honored to introduce you to Matt Moreau, the founder of one of our favorite brands, The Landmark Project. We love the unique apparel Landmark Project produces but there is so much more to this brand then the quality products they make. The Landmark Project's true passions are design, storytelling, and the great outdoors. 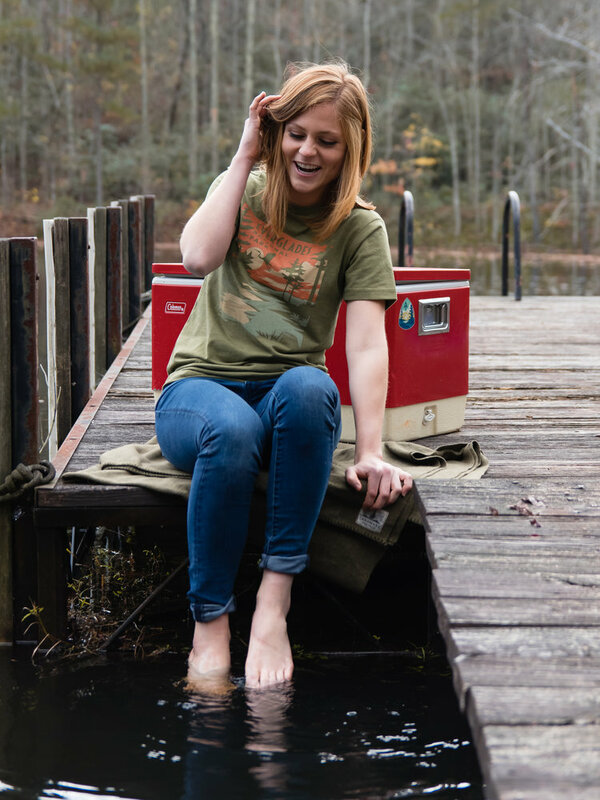 This is a band of talented, creative individuals who make products that inspire people to experience the grand urge of the wild. 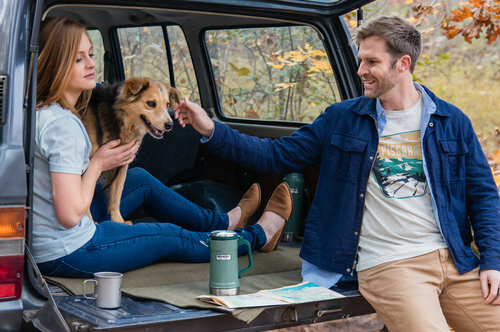 Designed to look and feel amazing, Landmark Project doesn't just create clothes that feel and look good, they connect outdoor enthusiasts across the country. Moreover, each Landmark purchase supports at-risk youth as they learn to reach their full potential through rafting, camping, mountain biking and rock climbing trips. 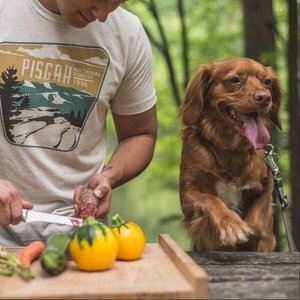 Their charitable partner, GOAT (Great Outdoor Adventure Trips), uses the great outdoors as a platform to mentor and train over 1,000 kids each summer. Founder of The Landmark Project, Matt Moreau. Tell us about yourself. Who are you? What inspires you? What drives you? What brings you joy? I consider myself an artist, a passionate entrepreneur, and an enthusiast for sharing the outdoors. Inspiration comes from a lot of sources for me - everything from historical documents, archived illustrations, and personal experiences outside. I’m not a morning person, but I’ll get up before dawn to watch light creep across a landscape, revealing it’s form, and coloring it with changing hues. I geek out over the different textures of moss, lichen, and rock. I’m motivated to translate the wonder of experiencing the natural world into illustrations that capture people’s interest, whether they’ve been there or not. If I can connect with someone through my artwork, that brings me great joy. The Landmark Project prints their own graphics in their own print shop just a few hours away from Townsend Bertram & Company in the emerging city of Greenville, South Carolina. 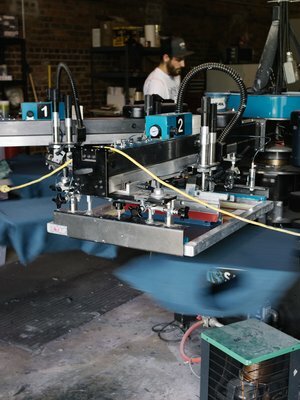 Quality print has been the foundation of the brand since the early days of making tee shirts in the loft of someone's house. How do you incorporate play into your life to create a healthy work/life balance? Driving the vision of our business and being the creative director of our brand can be exhausting at times. I’ve found that when my well runs dry, play is the best way to fill it back up. One of my favorite quotes is by Alan Cohen: “There is virtue in work and there is virtue in rest - use both and overlook neither.” For me, rest is found in my hobbies. Fly fishing, cycling, backpacking, and being a steward of the small piece of land that I own - my front yard. I love to put plants in the ground, water them, and watch them grow from evenings spent on the front porch with my wife. What are some of the obstacles you have overcome to pursue this dream? To name a few: doubt, financial difficulties, burnout, competition. Thankfully I have a good team that supports the vision and we keep each other afloat through the tough times. 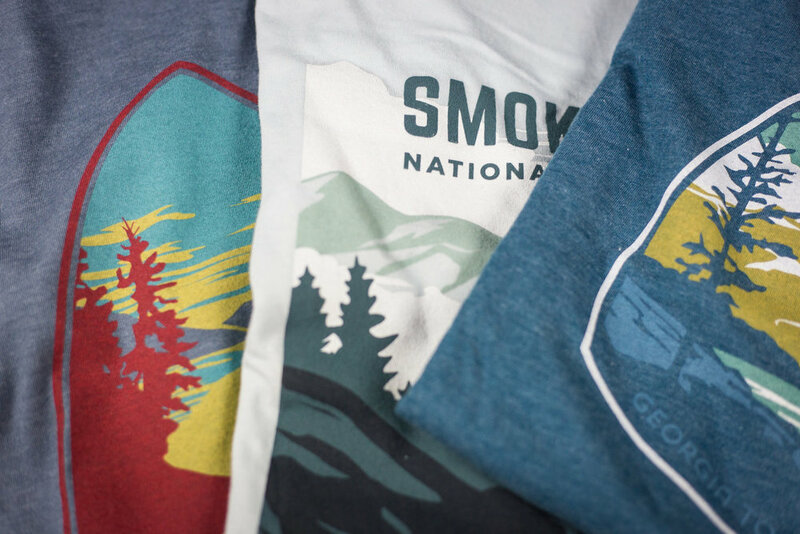 Our collection of original Smokey Bear artwork, launching July 1. It’s 18 months in the making! 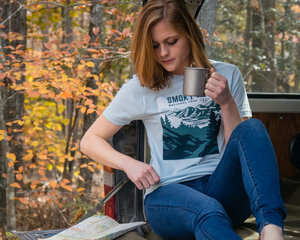 We’ve worked closely with the Forest Service to make a licensed product that pays tribute to America’s favorite bear and helps fund wildfire prevention education. What piece of advice do you have for outdoor enthusiasts with entrepreneurial spirits? Keep a sketch book of ideas and refer back to it a lot. I forget that some of my best ideas were my earliest. Build a team of people that genuinely believe in your vision and have complimentary skills to yours. Learn from failures. Don’t be bothered by your competition. What would you have done differently when you started your company if you knew then what you know now? Believe it or not, I wouldn’t have called it the Landmark Project. I’m embarrassed to say I’ve never liked the word project. Had I known that that it would have grown as quickly as it did, I would have changed the name earlier on. Of course lots of new designs, but more importantly we’re going to reinvest in our flagship store and use it as a place to engage our local community. The Adventure Bravely hat. You may think this hat is about adventures outside, but we made this hat to recognize that starting a business, working hard, being creative, following your gut, and standing up for what you believe is a brave adventure. If you risk something every day, this ones for you too. I’m a huge fan of Ansel Adams. Our mission to use art as a vehicle for conservation is greatly inspired by his work and writings. Bonus question: What do you want your legacy to be? How do you want to be remembered? Thanks to Outdoor Sports Marketing for introducing us to this quality brand. A special thanks to our rep, Tony Turner who has supported us growing this brand in our store. Comment below with your favorite landmark and any thoughts on the interview with Matt. Sharing is caring :) Please send this to your community to spread the love for brands that support keeping the wild places wild.